Located amongst the vines and on the banks of the Snowy River, the Snowy Vineyard Cottage is an ideal getaway for up to eight people. Built around 1889, Buckley's Crossing Hotel offers affordable country pub accommodation in the historic village of Dalgety. 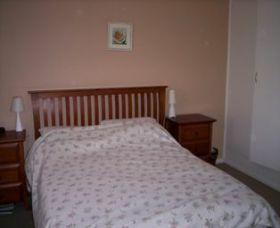 Recently renovated, the accommodation has central heating and electric blankets. Relax in the beer garden or on the veranda overlooking the iconic Snowy River. 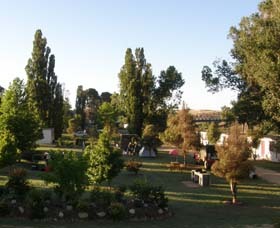 Snowy River Holiday Park is located at Dalgety, a friendly township on the banks of the Snowy River. The Park has 10 fully self-contained cabins, powered caravan and camping sites. 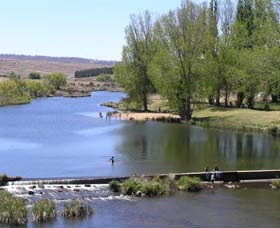 There is abundant wildlife, fishing, swimming and other water sports, winter sports, golf, tennis and other activities including a town walk. Set on nine acres, Lachney Cottage is a charming two bedroom house located in the historic village of Dalgety. 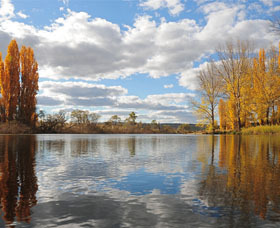 On the banks of the Snowy River, Dalgety is 30 minutes form Jindabyne and less than 60 minutes to the ski resorts of Perisher and Thredbo. The Cottage is beautifully presented and situated in a tranquil country setting with stunning views. It is an excellent base for skiing, fishing, hiking or simply relaxing with family and friends.